We all mourn for your loss. This is never an easy thing for anyone to go through, but when it is a police officer is is especially difficult. I will keep Hayden and his family in my prayers. God bless. My heart is with the Midland PD and the officers family. Know I am praying for all of you. Our sincere condolences to Officer Heidelberg, his immediate family and his family at the Midland Police Department. 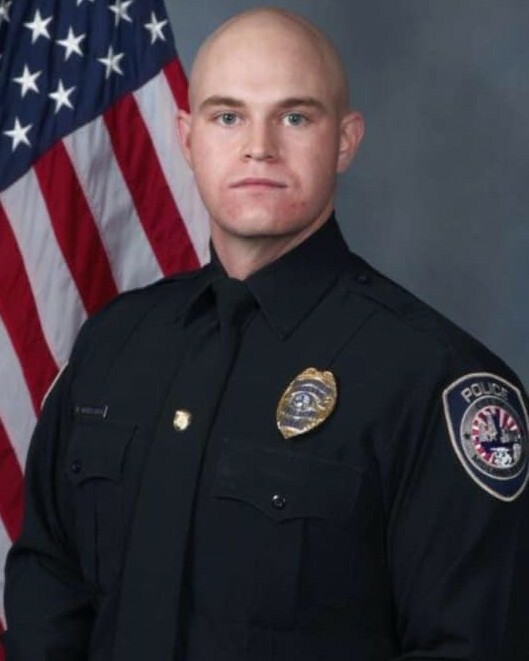 Officer Heidelberg made the ultimate sacrifice in protecting his community and fellow officers. I pray for Officer Heidelberg and for those who have been so deeply touched. Sally and I are heartbroken. Thank you for your service, brother. RIP. Rest in peace Brother Nathan. I pray for Officer Heidelberg’s Family and Extended Family Of Law Officers, Family and Friends who must endure this Tragedy..! Rest Now and Forever in Eternal Peace..! God Bless you and your family. I have family living in Odessa and know your area. It’s always sad when a brother or sister in Blue pass but especially sad when it’s close to home. Thank you for your service and I’m so sorry you lost your life so young. But always remember, you will NEVER be Forgotten. Semper Fi Brother. My prayers are with the family! May the Angel's guide him home where he can Rest In Peace! Your brothers and sisters will carry on with the mission that we all chose to do....which is protecting and serving! God Speed! The thoughts, hearts and prayers of everyone here at CCPD go out to the families, both blood and blue, of Officer Heidelberg. May the Good Lord give you strength, comfort and peace. He swore an oath to serve and protect and he made the ultimate sacrifice in the service of that oath. Our thoughts and prayers are with the family of Officer Heidelberg and the Midland Police Department. May God Bless All Law Enforcement. R.I.P. Brother! We are all saddened by this loss. Prayers being sent up for his family at home and at work. You will not be forgotten Brother, RIP. Rest in peace sir. Thank you for the ultimate sacrifice. I am sad to learn of the passing of a brother and hero in Police Officer Nathan Hayden Heidelberg. I know our Heavenly Father has welcomed him home into his loving arms where he will now patrol the Golden Streets of Heaven. May the Lord deliver blessings, comfort and peace to his family, friends and all members of the Midland Police Department. Your family and agency are in our thoughts and prayers. Thank you for your service! May you Rest In Peace. R.I.P. BROTHER THANK YOU FOR YOUR SERVICE AND GOD BLESS YOU AND YOUR FAMILY.!!!. Sending my sincere and heartfelt thoughts and prayers to the family, friends and department of Officer Heidelberg. I am so very sorry for your loss. Thank you for your life of service to your community. You will live on in the hearts of all who love and cherish you. May God bless you and keep you. RIP HERO.. Gone but Never Forgotten.